Mehregan, pronounced ‘Meh-reh-gaan’, is Persian festival of Autumn and is celebrated by Persians all around the world. It’s one of the two most ancient Persian festivals, the other being Nowruz (meaning ‘new day’, celebrating the start of spring and Persian new year). The first month of Autumn in Iranian calendar is called ‘Mehr’ meaning love and kindness. ‘Mehregan’ is celebrated now as the start of the Autumn and harvest season. In this way, it is similar to American thanksgiving. During this celebration, Persians lay out spreads of fruit and food, enjoying the festivities with their families with music and dance. Last year, I shared with you the recipe for Morasa-Polow (Jeweled Rice). This year, I thought I show you this Persian apple jam recipe. In Iran, there are small apples, called rosewater apples (Siib Golab), and they are used to make apple jams, with the whole fruit, without slicing it. 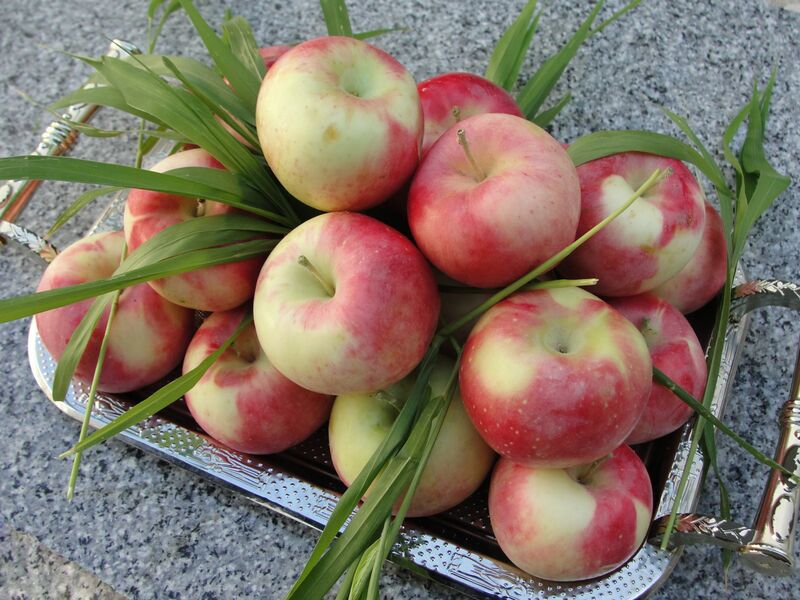 These are beautifully scented apples, and being sweet and sour, they are perfect for making jams. I found the smallest apples I could in my local supermarket and used them for this recipe. The addition of rosewater, gives the jam a delicate aroma and taste. You could even serve this with/over ice-cream as dessert, YUM! 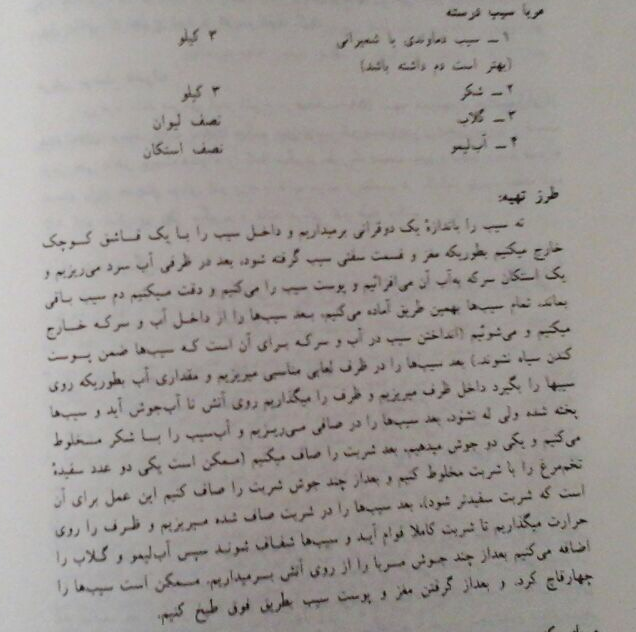 Original Recipe in persian from my Grandma! 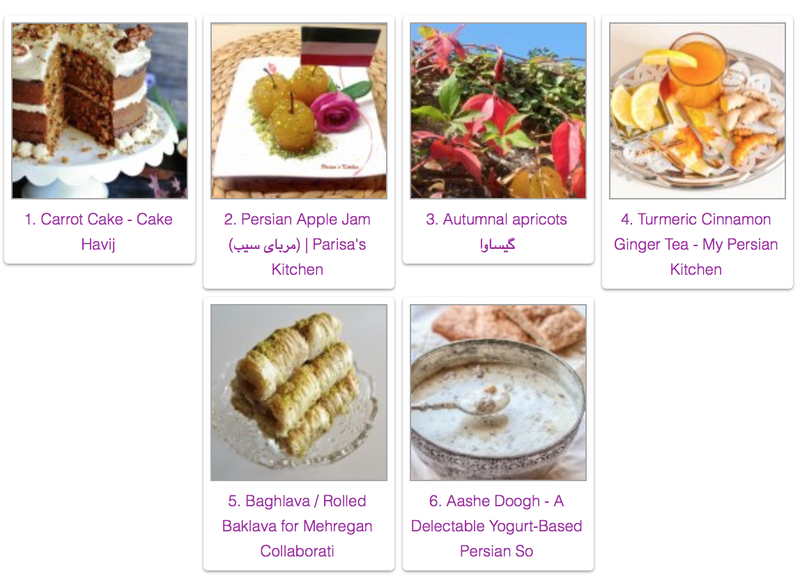 As I’ve said before, I’m lucky to know a group of talented Persian food bloggers. 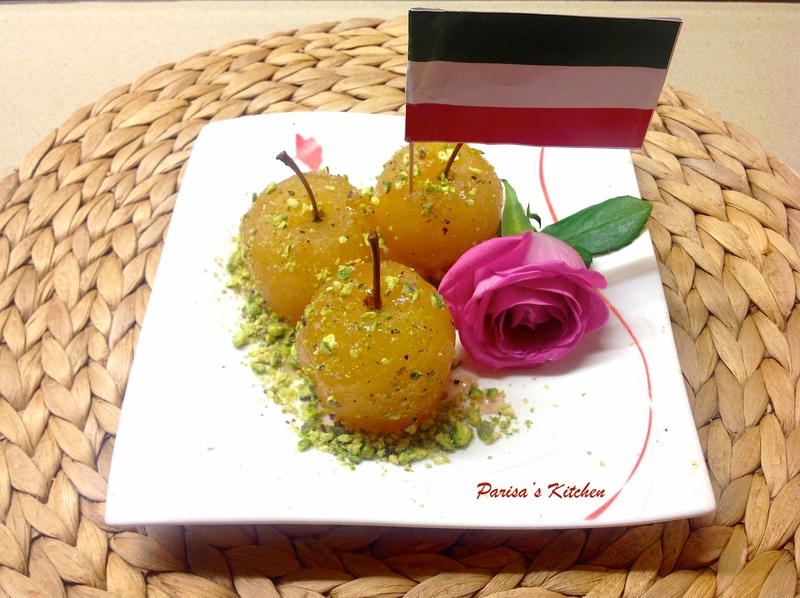 Together we celebrate major Persian festivals by sharing recipes of food we love and grew up with on our blogs. Please make sure to checkout their amazing recipes here. Peel the apples gently, leaving the stem on. Remove the core as well. 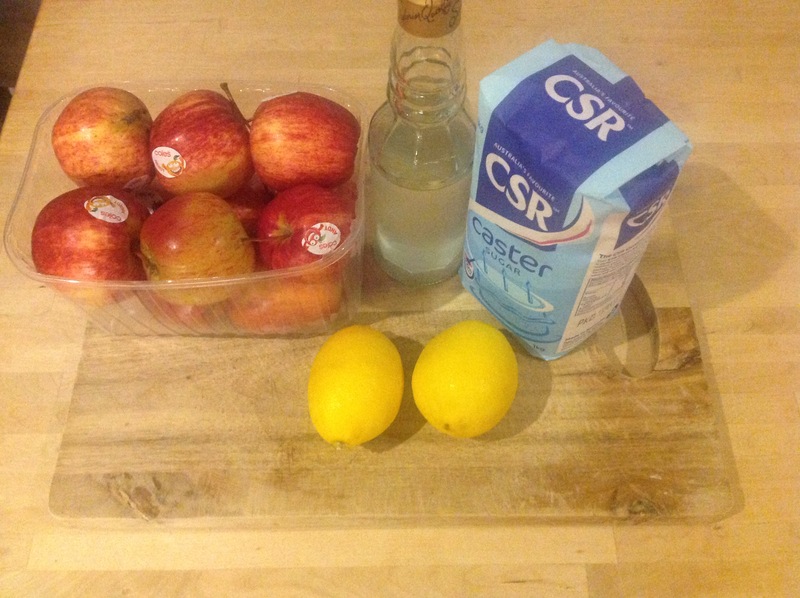 As you are peeling the apples, drop the apples in a bowl of water with 1 tablespoon vinegar added. 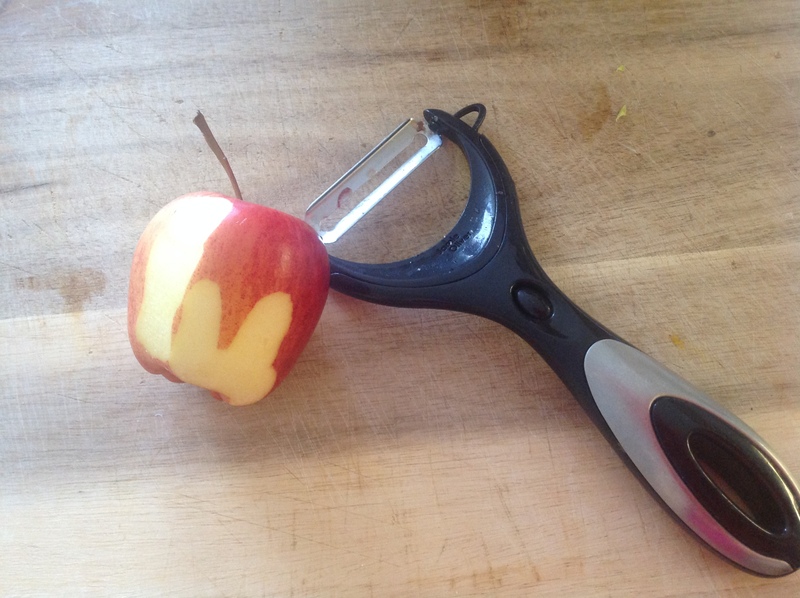 This will prevent the apples from browning. 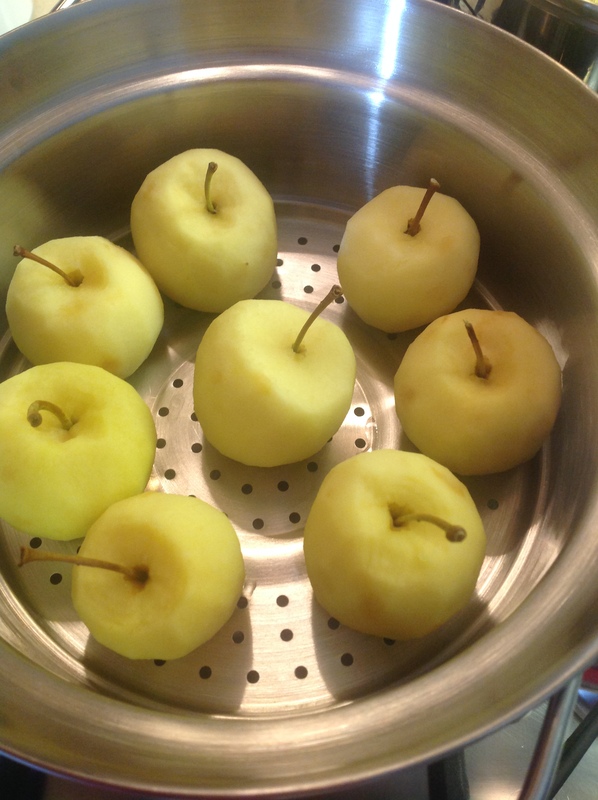 Once you have peeled all the apples, rinse them under water. Then add them to a stock pot. 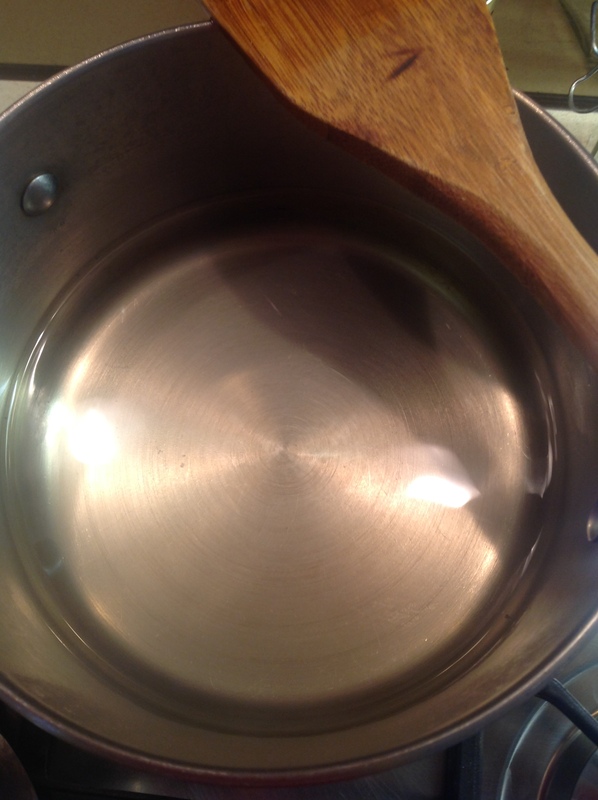 Cover the apples with water and bring the pan to a boil (with the lid on). 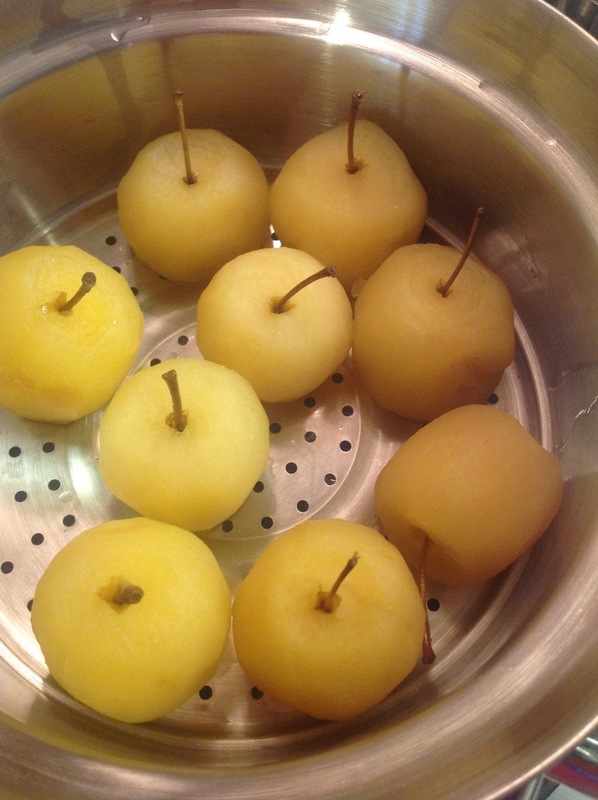 Once the apples are a bit soft, remove them from the water and set aside. Add the sugar to the pan, and bring to boil. Let simmer until all sugar has dissolved. Add the apples back to the pot and simmer covered, until apples are soft but not completely cooked. Remove the apples from the syrup and set aside again. Continue simmering the sugar syrup for 45 minutes to an hour, until it has turned golden in colour. Add the apples back to the pot, with the lemon juice and rosewater. Let simmer for a a few more minutes (max. 5 minutes). The apples have turned almost translucent by now. If you pour a little of the syrup on back of a spoon, the syrup is ready when it stays on spoon a little and doesn’t drip off immediately. 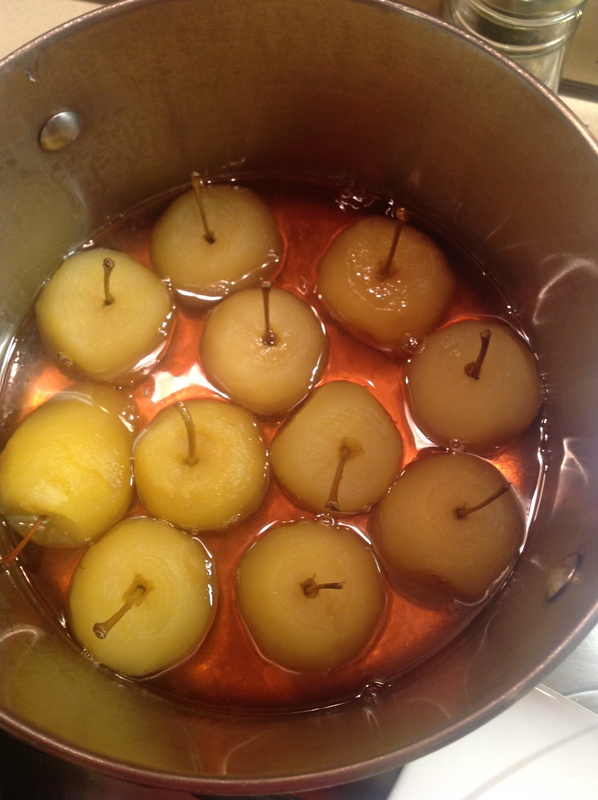 Take the apples out of the pot first and place in a sterilised storage dish, then pour the liquid over them. TIP: If you end up with more liquid than you need, store the excess liquid in a separate sterilised jar. You can use this as a sweetener over pancakes or waffles! That is it! Drizzle the syrup over the apples when you want to serve them! You can even add a bit of crushed pistachios. Posted in Breakfast, Jam, PersianTagged apple, breakfast, dessert, jam, mehregan, persian, recipe, rosewaterBookmark the permalink. Those apples are adorable! I’ve never seen anything quite like your jammed apples. I totally need to try this recipe! These are just so beautiful. Sweet li’l gems. I want them now with some good tea! Parisa joon, such an adorable post! I absolutely love the presentation of your apple jam. Happy Mehregan to you too! How cute these apples are! I had never seen such thing. Really great! P.s. I don’t see my post’s link among the links at the end of your post 😦 did you use linkz code? It is so beautiful post with that beautiful persian song and dance giving the viewers the real meaning of magnificent Persian culture. Well done darling.